Seven Optimist sailors from the Royal BVI Yacht Club traveled to St Croix this past weekend to compete in the 2016 St Croix Yacht Club Crucian Open with all four of the championship fleet sailors reaching the podium in their divisions. The regatta hosted 72 competitors racing in the 420, Sunfish and Optimist classes on Saturday and Sunday. Unpredictable 2-7 knot southerly winds brought light and shifty conditions that challenged the competitor's patience but all of the RBVIYC racers finished well in their respective fleets. 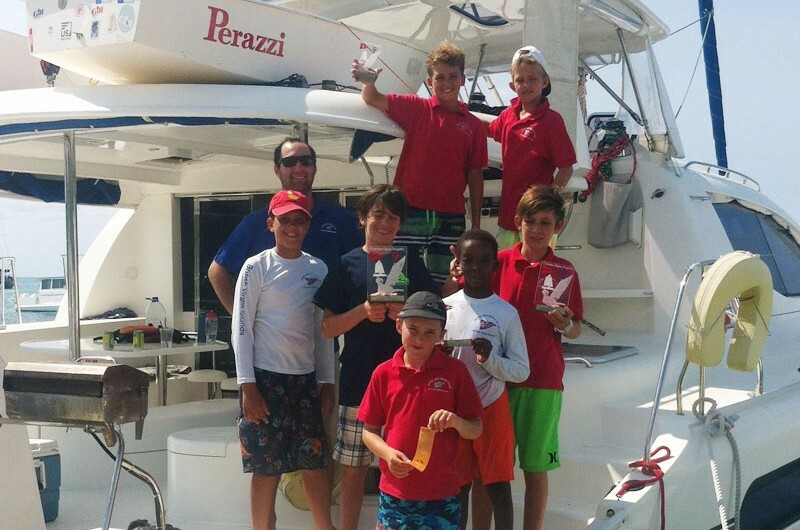 In the 24 boat Championship Fleet, Ryan Lettsome finished 21st overall, winning third place in the ten year old and under white fleet. In the blue fleet for eleven and twelve year olds, Nathan Haycraft took second place and seventh overall with Kyle Roose in third and twelfth overall. Rayne Duff held the lead after the first day of racing with three first place finishes under his belt and never finishing outside the top three. A less successful day two saw him drop to second overall but retaining the red fleet honours for thirteen to fifteen year old sailors. Samuel Allen was top of the pack for the BVI Green fleeters, finishing fifth overall. A consistent weekend for Allen included two second place finishes and just one result outside the top 10. Noah George made a blistering start to his regatta with third place in the first two races of the weekend. Not quite able to maintain that level he continued to finish inside the top half of the fleet throughout and ended his regatta in eighth overall. A solid first day for Nici Haycraft saw him take the race win in race seven but, sitting out Sunday, he slid to 15 overall. 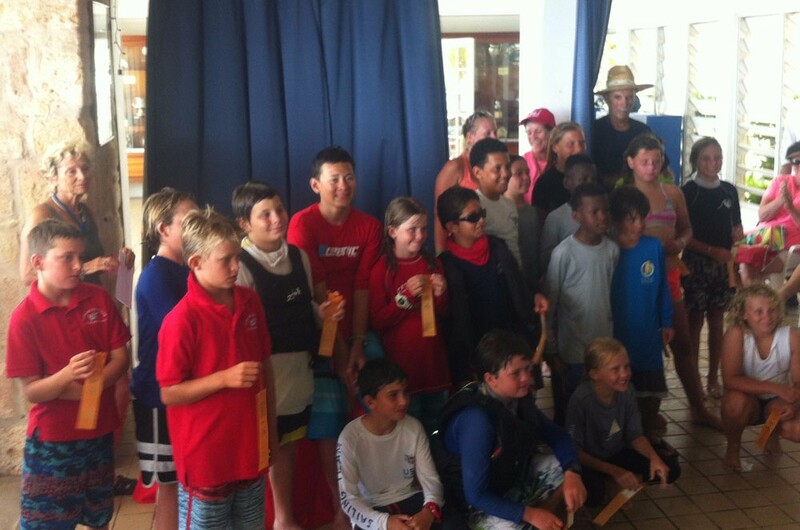 A great weekend for the RBVIYC junior sailing programme and congratulations to the team on another excellent regatta. Thank you to St Croix Yacht Club for a great regatta and to the Moorings for their continued support for our sailors. Our partners at Sunsail Sailing School have opportunities for Royal BVI Yacht Club members to join their up coming sailing courses at a very special discounted rate. Sunsail Sailing School offer Royal Yachting Association (RYA) Competent Crew and Day Skipper Practical Courses and have vacancies coming up this spring. If you are interested in gaining some internationally recognized qualifications this is a fantastic opportunity not to be missed. Registration on Friday 22 April at Nanny Cay. The 2016 BVI Dinghy Championships will take place on 21 and 22 May.